Every building is unique, and each has good things and some not-so-good things. The new website Honest Buildings launched today to make it a lot easier to learn about projects and open up a discourse on how to make them perform better. 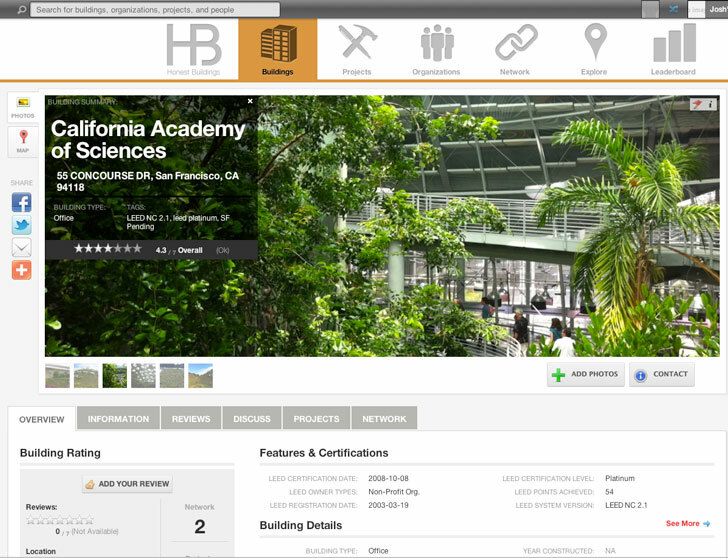 The website tools have been billed as a Yelp for buildings and a Linked-In for building professionals. As the site matures, the creators see it developing into an organic gathering place for discourse on the built environment – a social media hub just for buildings. The ambitious website has five main sections based on either buildings or organizations. 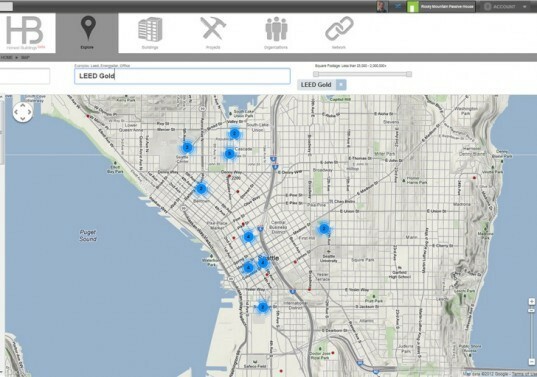 There are multiple ways to search the database to find what you’re looking for – say, LEED Gold buildings in Seattle – and a map pops up indicating all the projects in the database. Click on the Bill and Melinda Gates Foundation building for instance to see details like square footage, tenants, architect etc. A 7 star system compares each project to others based on aspects like their walk score and energy star rating. The tool makes it easy to get to critical data, and it gives you a macro view of how buildings stack up against their neighbors. It turns out that peer pressure (surprising as it is to the bean counters) is a critical way to convince owners and designers to step up to the plate and improve efficiency. The project started when founder Riggs Kubiak sought to help property owners adopt energy efficiency measures but lacked the tools to help owners see how similar buildings performed. The website has partnered with the Environmental Defense Fund, ENERGY STAR, Building Operator’s Certification, and CUNY High Performance Building Lab for data and is seeking even more partnership with groups to make plugging performance and other metrics for a building easy – from skyscrapers to houses. The challenge will be how to make very different metrics align on one website. On a micro level, anyone who has designed, lived in, or worked in a building can add useful feedback on the project, providing a unique format to discuss the building’s features. It’s also a good way to find service providers who worked on the building – they can pay for the premium service to have their profile contacts available. Since the website is dependent on how users populate it and use it, its value as a tool will adapt over time. Between the curmudgeons and the promoters, hopefully Honest Buildings can hit the sweet spot and provide timely and useful information to make buildings – well, honest. Every building is unique, and each has good things and some not-so-good things. The new website Honest Buildings launched today to make it a lot easier to learn about projects and open up a discourse on how to make them perform better. The website tools have been billed as a Yelp for buildings and a Linked-In for building professionals. As the site matures, the creators see it developing into an organic gathering place for discourse on the built environment - a social media hub just for buildings.